Charles Bernstein: I am on the periphery looking out. I first heard about the Wall Street actions when Noah Fischer, artist/activist, and son of my friend the poet and Zen activist Norman Fischer, wrote me about some guerrilla theater street actions on Wall Street over the summer: a small band – calling itself the Aaron-Burr Society – was handing out nickels, dimes, quarters, even half-dollars (ever seen one of those?) in an action called "Summer of Change." Tiny interventions with little public response and small numbers of demonstrators. I told Noah it reminded me of the Yippies: Abbie Hoffman showering money onto the stock exchange on Aug. 24, 1967. Hoffman's genius was to stage something in the space between a happening, political theater, and a photo shoot; something that came across as comic but also to the point. And something that infiltrated itself large into that three-headed dragon, the massed media. Noah said Hoffman was an inspiration. In any case, it was a quiet beginning. In this picture I am in Noah's FDR dime mask, with Noah on September 18, the day after the initial Zuccotti park occupation. On Sept. 25, Noah posted on FB: "There is more or less a media blackout on the one week occupation of Liberty Park in NYC, so I can report that it's amazing and hopeful (probably why the media is staying away). #Occupywallstreet is the American wing of a global response to economic injustice. What's going on in this park is a truly unique experiment in consensus and finally speaking out against a system run by economic and political elites that everyone knows is not working for the rest of us. I would encourage all who can to follow this and if possible, come to Liberty Park." A few weeks later he posted on his father's Facebook wall: "Dear Dad, We are Occupying Wall Street." For a couple of weeks immediately following Sept. 17 I was in China. I posted this picture from Wuhan, site of the Sun-Yat Sen revolution 100 years ago, a momentous event in which the thousands-year old dynamic rule was overthrown (the Wuchang Uprising, Oct. 10, 2011). When I got back to New York, I went to the October 5 March. Susan was sick, so I went alone but bumped into Drew Gardner, who had a video camera at hand and shot the recording you saw. A few minutes later, despite the immensity of the crowd, I ran into a clutch of poet and artist friends. I am giving these links and pictures because for me the "local" of the demonstration, moments like Oct. 5 aside, is as much on-line as in town. Wall Street is for me more a national symbol than a local site. In other words: my engagement with OWS is speculative, supportive, but somewhat spectral. 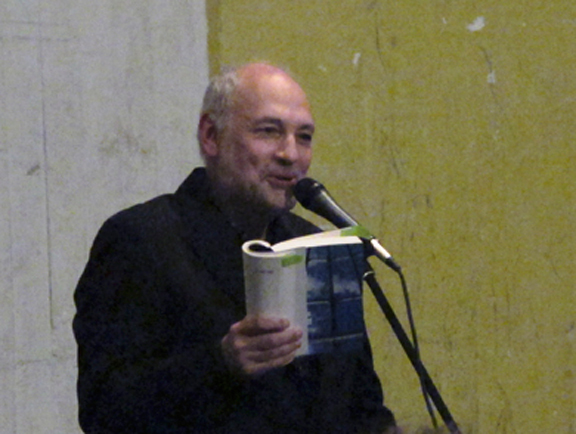 JM: I was reading your contribution to the Occupy Poetry Anthology, "In Utopia," and I was very interested in the word "utopia," partly because I've been thinking about Plato's poet-less Republic (a utopia) and our republic, from which the poets have not yet been evicted, even if they fan the flames, so to speak. You can't evict the poets from the republic. Bloomberg/NYPD/corporate security/DHS cannot evict the poets from Foley Square (even if they can dismantle the "People's Library"), but more importantly, they cannot evict the poetry from the movement because, as you said, you can't evict an idea (which is now the slogan for Occupy Philly, by the way ). Occupy Wall Street seems to be standing up for a vision of American civic being that relies upon a poetic or lyric sense of collectivity. "We are the 1%" is a statement that turns on a pronoun. Who are "We?" Are "We" poets or citizens, both/and? Are "We" an embodiment of Bahktin's lyric "I" (that is "We")? Are we collectively doing Gramsci's intellectual labor? I'm fairly certain that "We" is not a new Marxist poetics (even if the theoretical references are right-on), but "We" is a poetics, perhaps as yet to be defined? In your poem you write: "In utopia, we don’t occupy Wall Street, we are Wall Street." In other words, "We" are the thing we're trying to destroy, thus "we" have power over it and over the language of greed? Who are we? Is there a utopian poetics at work here? I ask this because the OWS moment is the first I can think of since perhaps immediately post-9/11 that has been able to galvanize poetry communities in such a tangible way. I was thinking about Leslie Scalapino's anthology, Enough, from 2003, around the time Bush declared war in Iraq. 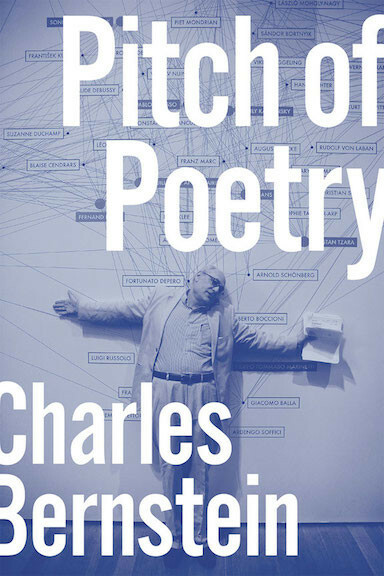 Her co-editor Rick London argued that "a radical purpose of poetry in critical times is to disrupt the language of consensus." Certainly one of the goals of OWS is to disrupt or dismantle an old-garde, a language of consensus fabricated by the few and perpetrated on the many. In fact, the lack of consensus (which has been the mainstream media's main critique of the movement) is actually one of its greatest strengths, rejecting consensus, sound bites, and the language of conformity, to some extent. You've written very recently, in M/E/A/N/I/N/G, that the "poetics of OWS are appealing partly because they are averse to the kind of policy declarations that the mediocracy craves." It seems to me that a poetics of consensus is an oxymoron, and that a plurality, a spectrum of "otherness" is the very soul of creative expression. What is the difference then between a policy declaration and a poetic one in this moment of galvanization and action? 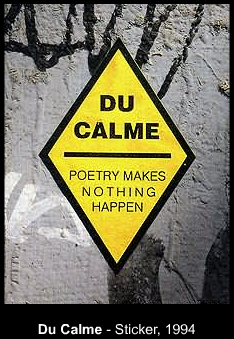 I was remembering the caution sign on your office door, "DU CALME: Poetry makes nothing happen." I've always enjoyed the irony of that sign, and I'm especially keen to discuss it right now, in light of OWS and of the many poets who have decided to act, agir, in the existential sense of literally giving meaning to one's actions, even after the fact, donner sens à. It seems to me that poetry has always been political for you, and I wonder if you could explain how that relationship has changed (or if it has) with each new wave of public action/crisis/upheaval, culminating with OWS/Occupy. But what is this nothing that poetry makes happen? What is this thing called poetry? The irony is that just when you think there could be a realm of beauty outside the disruption and contention of politics, you come face to face with the ultimate instability of unbridled thought. Not that poetry is necessarily that, but that is the potential danger that Plato's shadow knows lurks deep in the heart of the genre. I always liked Herbert Marcuse’s no doubt flawed and certainly out-of-date concept of "repressive tolerance." You know: you let 123 flowers bloom but you give only two or three direct light. And then say, "Martha, see what I told you, these flowers you got at Schwartz's just don't have the stamina and inner beauty." Get out of the damn light! Poetry may not be banned from the republic, but it gets no respect, or what's respected is often the work that serves poetry in the most meager way. "We" want to talk about the poetics of OWS, and to salute that poetics; we want embrace the way that poetics resists assimilation into the trivialization of thought and of resistance to the language of the massed media. There is a direct relation between OWS and a poetics that sees the representation of reality as always at stake when we use language, that insists on creating our own frames rather than translating our intuitions, aspirations, and demands into tabloid commodities or Democratic National Committee talking points. But, as you insist on asking, who is this we? What cover does it provide? Populist politics in this case is, like they say, on the right side of history (meaning the left side). Opposing the redistribution of wealth from the many who create it to the few who hoard it is, by definition, a populist position. The slogans of OWS have a poetics that I admire but not a poetry, if I can make a distinction I am already troubled by as I write it down. This struggle is not about poems or art works and so I would say the relation of poetry to OWS is necessarily minimal. Poetry, the kind of poetry I want, is not the 99% but the -.099%, a splinter of a fraction inside a negative number. You praise OWS for refusing a phony, polarizing consensus (cf. the long-running Culture Wars). So perhaps poetry's -99 is -- also sprach -- what OWS is fighting for, a social mathematics that doesn't pray on accumulation but recognizes the negative economy, those who spin not and can't even get jobs sewing. It takes a poetics to hear and respond to OWS, but OWS speaks not in the language of poems but with aphoristic wit and symbolic gestures. The people's advertising not the poet's rhetorical implosions. Coming home a couple of night ago, I ran into a friend from my building on the subway, where we started to talk to a woman of our age who had spent the day (11/17) at the citywide protests. My eminently practical, down-to-earth friend said what OWS really needs is a spokesman who is also something of a Wall Street insider, someone the media can go to for an official position. The demonstrator looked exasperated at both of us, even when I said I thought the lack of official spokespeople was one of the beauties of the movement. In terms of poetics, the ability of OWS to exasperate and indeed thwart the pigeonholing of the mediocracy is one of its triumphs. Demonstrations like OWS are symbolic and need to be read symbolically; but it is not like reading a poem. The credo of the massed media is always literalize, so the clash with OWS's modus operandi creates a front line resistance to the assimilation, and ultimately domesticating, of the protests. The symbolism of OWS is not only ambiguous but also amorphous, which has allowed a resilient mobility through metamorphosis/re-formation, with energized manifestations sprouting up in new places: headless but not heedless, averting central authority in favor of dispersed, localized collectivities. "Act as if there is no use in a center." You say rhizomatic, I say autopoiesis. The more you evict, the more it convicts. Cut off its head, more heads grow in its place. But this is all "in theory," which is why it works symbolically, at least for now (since it remains to be seen how any of this will look in a week, or month, or year). The amorphousness also accounts for the ability of different groups to identify with OWS, to see their (our) problems on display. Young people with uncertain economic futures, many unemployed, certainly connect at a visceral level with the mottoes and the primary participants. Labor unions see this as "our" issue. Last night (11/18) on New York 1, I watched a group of astute but complacent New York Times commentators focus primarily on the bad treatment of the press during the Zuccotti Park eviction; the treatment of the demonstrators or the economic inequality they decry was hardly mentioned, but they were outraged that their prerogatives as journalists were abrogated. And this is true, in our own way, of poets. OWS is not about poetry, but poets can project on to the literary coattails: the anthologies, the seemingly poetic "people's microphone" (the seemingly poetic "people's microphone"), the plight of the books ... as if these were key parts of the project. "We" are doing this now ourselves. But it's crucial not to unhinge the symbolism from the social conditions that engendered it. Rather, "we" need to think with and through the symbols. The eviction of the demonstrators from various encampments is outrageous because it violates democratic principals of free speech and the right to protest. But the violence against the demonstrators is trivial compared with the violence of evictions by the banks (in effect Wall Street). The massed media and the right often feel OWS is discredited by the cohabitation of the homeless and occupiers; but the plight of the homeless is one of the "real" costs of American economic injustice and of the destruction of safety net. This is not a problem for OWS but for the mediocracy, which will not acknowledge that the plight of the homeless is a result of public policy. Newt Gingrich can say the occupiers “should go get a job after you take a bath" (11/19) because he understands how the media prefers a Big Lie repeated by a guy in a suit to the sight of millions of poor American children without enough to eat as a result of policies he (and the other Republican candidates) put into place and continue to support. Satan has learned the trick of not smelling; but suffering flesh still stinks. That's the smell of social truth. And even those real world evictions pale before the rate of incarceration of so many of our people, and specifically the targeting of black young people, whose systematic jailing is a permanent stain on these United States. I wrote "In Utopia" in July, along with a poem called "Strike!," which also resonates strongly with the OWS moment. I added the "occupy" line on the day of the Oct. 5 march, since I was reading the poem that night at St. Mark's. Both poems are plugged into the moment, but also for me reflect on all the engagements with politics I've had in my life. They combine the deflationary with the incendiary, the bathetic and opportunist, with what I hope is, indeed, a Gramscian ferocity. They are chameleons, perhaps applying to now, but perhaps also to 1968, when I turned 18 on the day Martin Luther King, Jr. was assassinated. In these two poems, I am as interested in political sentiment, even in their sentimentality, as in any instrumentality. They could not be banners for any struggle but no politics can exist without such reckonings. In utopia they don’t got no rules and Prime Minister Cameron’s “criminality pure and simple” is reserved for politicians just like him. In utopia the monkey lies down with the rhinoceros and the ghosts haunt the ghosts leaving everyone else to fends for themself. In utopia, you lose the battles and you lose the war too but it bothers you less. In utopia no one tells nobody nothin’, but I gotta tell you this. In utopia the plans are ornament and expectations dissolve into whim. In utopia, here is a pivot. In utopia, love goes for the ride but eros’s at the wheel. In utopia, the words sing the songs while the singers listen. In utopia, 1 plus 2 does not equal 2 plus 1. In utopia, I and you is not the same as you and me. In utopia, we won’t occupy Wall Street, we are Wall Street. It utopia, all that is solid congeals, all that melts liquefies, all that is air vanishes into the late afternoon fog. You can't evict an idea. Then again, of course you can, as various sharp-witted friends have duly noted: it happens every time the victors tell the tale. But you can't stop me for saying you can't. And in saying that, against all odds, well it's a kind of poetry. JM: I'm intrigued that you describe your role in OWS are "speculative, supportive, but somewhat spectral" (and not just by the alliteration) because each of these words evokes a certain hesitancy, but also they suggest that you are concerned with the distance between the observer and the object of scrutiny, the interplay between proximity and remoteness, perhaps? I was thinking, too, about ironic distance, and that the political stakes of the movement make it very difficult for us to be ironic observers. Irony, though, is so integral to your work, so I really appreciate that you make the distinction between that work and the organization of the movement by non-poets or poets with their citizen hats on. (Of course now there have been so many hilariously ironic commentaries—I’m thinking especially of the various *masterpieces of western art* that have been reinterpreted as “the pepper spraying incident.”) Since Occupy is about inhabiting a space--a time-space, and a space of the mind--I wondered if you think of your role as poet or critic or person of/in but especially *around* the movement as necessarily liminal, by which I mean is it perhaps the role of "unbridled thought" to occupy the space between the movement and the rest of the world, to narrate it neither from within or without, but somehow around? And is it this distance that maintains (I was going to say "polices," but then thought better of it) the distinction between the poetics and the poetry? I was also wondering if you think you would have felt more comfortable, more integrated, less speculative, if OWS had remained small, that is to say, remained an experiment in the theater of the absurd with a political purpose (that was also an aesthetic statement)? When I read, "The irony is that just when you think there could be a realm of beauty outside the disruption and contention of politics, you come face to face with the ultimate instability of unbridled thought," it felt very personal but also seems to express a certain frustration or ambivalence with pull of the political, the need once again to rally the troops or rally the language, so to speak, in the service of a crisis. I'm not trying to downplay your obvious excitement and enthusiasm for/about the Occupy moment, rather I understand the longing for that "outside" realm. The space of contemplation, of unfettered aesthetics and "unbridled thought" is always fleeting, but there needs to be this space for poetry, this space where nothing happens and experiments in language, beauty, and the abyss are free to unfold (this is where the "splinter of a fraction within a negative number" flourishes). At the same time, in this (now) very public, very global movement, you have become a sort of bard--maybe it's an anachronism to use that word, but I'll stick with it--which is to say that, especially on forums like Facebook that blur the personal and the public, you have a fairly rapt audience, one that is eager to engage with your engagement, so to speak. Is that encouraging? Or sometimes difficult? I say "difficult" because it's one of my favorite adjectives (as you know), but also because I completely understand the sentiment that "our stripes are what counts" and the very fact of belonging, of becoming affiliated, or representing is a kind of vulnerability, i.e. it can be more comfortable or familiar NOT to belong, not to galvanize. We've already discussed how the heterogeneity of OWS is one of its major strengths, and perhaps in that sense, no one supporter has to lose his/her stripes to make a stand. And we're back to a utopia! One where the parts/whole problem is beautifully and ironically manifest: e pluribus unum. But as a poet of the moment, again there is this problem of the margins--the where and why of the observer must upend that utopia. An editorial by Robert Hass in the NYT on Nov. 20th called the action by students at Berkeley "almost lyrical." I find his word choice very interesting, for obvious reasons. His account of being brutalized while watching the UC police club his wife, colleagues, and scores of nameless students was entitled "Poet-Bashing Police" (and he references a student sign in the aftermath that read "Beat Poets, not beat poets"). But his being a poet had very little to do with his chilling account of the events, other than to provide a mass readership with the unholy image of the police clubbing a poet (very Platonic, in a way). Really, though, this article is a perfect example of the "sloganization" you were talking about (a false poetry? ), that "the struggle is not about poems" or poets, but about an admirable poetics, in this case also uncannily about poets as martyrs. I think Hass is writing more as a concerned professor and citizen than as a poet (though maybe the two are inseparable for him). But his response nonetheless made me think about the consequences for the Occupy movement of its shift to universities, from the streets to the campus (another shift in space) and whether/how your own ties to university culture affects your thinking about OWS (the obvious difference between a public campus and an Ivy League notwithstanding). CB: A big difference between the OWS and campus demonstrations and those during the late 1960s and early 1970s is that now the students, and other young demonstrators, are putting forward their own economic interests. The antiwar movement made gestures of support for the labor movement and working people, but this was a political position: the economic situation of the demonstrators was not as directly on the line, with high unemployment for recent college graduates and crippling tuition increases for current students. Campus protests against tuition increases, whether at the City University of New York or in California, contest an economic injustice that directly affects most of the demonstrators. While the draft added a vested interest to the anti-Vietnam-war movement, the goal of those protests was not the end of the draft but the end of the war. Indeed, in 1968, Nixon campaigned against the draft. Moreover, eliminating the draft had the effect of making it easier for the U.S. to subsequently wage unjust and unpopular wars. Then, again, do not tell me, as a good man did to-day, of my obligation to put all poor men in good situations. Are they my poor? I tell thee, thou foolish philanthropist, that I grudge the dollar, the dime, the cent, I give to such men as do not belong to me and to whom I do not belong. There is a class of persons to whom by all spiritual affinity I am bought and sold; for them I will go to prison, if need be; but your miscellaneous popular charities; the education at college of fools; the building of meeting-houses to the vain end to which many now stand; alms to sots; and the thousandfold Relief Societies; — though I confess with shame I sometimes succumb and give the dollar, it is a wicked dollar which by and by I shall have the manhood to withhold. Extreme income inequality is our problem: addressing this issue is in the self-interest not only of the vast majority getting the short end of the stick but also of those in the one percent who care about the viability of the system that brought them their wealth. Altruism, the religion of the do-gooder, is not the solution because it misdiagnoses the problem. Patronizing the poor is not a means to solidarity. The current state of education makes me poorer and my work harder as a college teacher; it practically cripples the economic basis for poetry. The homeless man I pass late at night at Penn Station, returning from work, makes me shudder when I look directly at him and, even more violently, when I look away. JM: It occurs to me that the “difficulty” of “facing, representing, acknowledging the poor” is a (quite Baudelairean) way of describing the troubled relationship between subject and object, full stop. And, as you have repeatedly suggested, the artfulness of that representation cannot really be the issue when the human stakes are so high, so Emersonian. I actually have been feeling a strong disconnect between the desire to intellectualize Occupy and the desire to experience it—though perhaps they are one and the same, in the end. Whether or not we are on the front lines doesn’t change the fact, the crisis, of extreme inequality. This discussion began because of an oblique allusion to Plato evicting the poets from the Republic, after OWS was evicted from Zucotti Park. In my mind, the association between the two came from this tension between the artist and the state, both mutually threatening, especially in moments of dissent. In the Republic, Socrates wants to banish poets because they speak the truth but cannot explain why. In other words, they speak an irrational truth that is rooted in tuché or fate and not it techné or craft/praxis. Artistic seduction was especially fearsome to Plato because, by manipulating the emotions or adulterating the rationality of the citizenry, it compromised the authority of the state. We've acknowledged the pleasing irony that "poetry gets nothing done," or as you say "Poetry may not be banned from the republic, but it gets no respect, or what's respected is often the work that serves poetry in the most meager way." While Plato's poetry might be more analogous to television or media culture today (the true seduction of the masses), do you think that the fate of the -.99 is at all entwined with the outcome of OWS? Is obsolescence a positive or a negative space to occupy? I was reading some Auden, who (I think) first used the very phrase "poetry makes nothing happen" in a truly bizarre 1939 essay/poem about Yeats and the socialist republic (something he, Auden, feared), "The State vs. the Late Mr. William Butler Yeats." Auden stages a mock trial between poetry in action (the socialist republic) and inviolate art (aestheticism). For Auden, poetry should not be used, it should just be. This, too, is a troubling position (which I think he probably recognized). In any case, I wondered what thoughts you might have about (P)poetry and the (S)state. CB: Zucotti park was a small oasis, a symbolic autonomous zone against the permanent occupation by “the one percent” of the surrounding buildings, the city halls, the police, Wall Street, the trustees of our “nonprofit” universities, right up to the Congress. The irony is that by symbolically occupying a small public park, the protest brought home the non-symbolic occupation of the major institutions of the nation. So this is a way to read the protests and perhaps a willingness to read these events symbolically, metaphorically, and metonymically, in a political culture, and often a poetry culture, that literalizes all it sees and all it touches. Literalizes in the sense of de-realizes (and also in the sense of manipulates). I would never advocate poetry, per se, but a particular poem, just as it’s not politics we need, we always have that, but a politics that allows us to see the causes and outcomes of economic and social injustice and proposes ways to reverse or contain such injustices. But the description of an injustice is a poetic problem: there are no neutral descriptions that speak for themselves, uncolored by words, no way of being entirely free from manipulation (the sophists had it right on this point: beware a sophist baring (!) truth). Nor do images speak for themselves, even as they are served on platters of platitudes to tell us, wordless, one thing or another. People like to speak of telling truth to power. But the task of poetry is to speak truth to truth. And no one wants to hear that. JM: Our conversation has been unfolding over several weeks now, and I think we are both very aware of how the spotlight has been moving, how the vogue of OWS is starting to wane for the mediocracy but also for the everyday consumer of media. So we’ve had to acknowledge the critical lag as we become “meta,” as they say. Is what we have written/are writing consumable, temporary? Is it, as Laura Riding (whom I have on the brain lately) might call it, "zeitgeist writing"? Does it capitulate? We have this problem of the news cycle v. the poetry cycle, the thinking cycle. It's true that at the beginning of our conversation, I did feel a definite sense of urgency, a desire to be of/in the moment. But as this conversation evolves, and the moments it reflects upon become "yesterday's news" faster than we can keep up with, does our conversation lose its urgency? Did we capture a "structure of feeling" that is now passed? I'm resisting that interpretation, if only because social critique, if it is going to capitulate, cannot capitulate to the news cycle. Once again, the critique of the movement (whatever form it takes, whatever language it uses) abuts the movement but perhaps does not become one with it, which is to say that there is the experience of change and *then* the crucial space of reflection, the afterward, the space where meaning is created and for which time is a crucial catalyst. I'm reminded of the distinction you made between the "there" and the "there"--Occupy is situational, location-based, but also virtual, rippling outward, mediated--it has a second life. Our problem is that, though the essential issues haven't changed and indeed are still worth every bit of ink, our conversation has become more of the afterward than the experience, the reflection on the changes rather than the change itself. But this makes me think again about the role of poetry, of language, in social movements/moments of crisis. The space of the poem is an experience in itself, a change *in* language, but the critique of the poem, of the movement, of the object of scrutiny--is it less alive? CB: The news cycle changes the conversation day to day; it’s planned obsolescence. The trick is to be able to make connections from one incident to the next; a network of stoppages, in Duchamp’s phrase. It is the fundamental poetic work: to make palpable constellations from what may appear unrelated incidents and do this inductively, by intuition and association. In other words to argue not along the lines of rationality, which too often is the tool of technocrats who erase ideology and context, but along the lines of reason, close at hand to how the mind perceives in and through categories and frames. Here is a placard I made in early October, which both traffics in the topical but is meant to avert it as well. Really reading the iconic image from the University of California at Davis: When the police pepper spray the patently non-threatening Davis students, what does it mean? We hear a great deal about the disconnect of the UC administration, we feel the specter of Kent State, we understand that that the iron fist of the state will be used to take capital away from students with the least of it to protect tax breaks for those with the most. Chorus: He that cannot pay: let him pay. We also can read the pepper spray incident as symbolizing tuition increases (students getting hosed) resulting in fewer opportunities to accumulate cultural capital (a college degree). The cost of public education needs to covered, to a significant extent, through progressive taxation. Tuition increases are regressive taxation: such increases are a greater financial burden the poorer you are. Affordable higher education is a fundamental value for the country as a whole. Shifting more of the cost of college education onto those that can least afford it has the effect of limiting access to higher education or darkening the financial horizons of students saddled with more debt than they have the ability to pay off. Opportunities for higher education should be based on your ability to learn not your ability to pay. Chorus: Education is a right not a privilege. An educated citizenry benefits all. But I think something else is going on with that Davis video: this internet “meme” gives us in the “middle class” or the “99 percent” a glimpse of the more commonly overlooked violence routinely directed against the poor and disenfranchised, for example the police violence against young black men. It might, by another stretch of the imagination, conjure up violence far worse than that delivered by pepper spray: the astronomically high rate of imprisonment of black men, especially those who have dropped out of high school (69 percent versus 15 percent for white drop-outs) and an overall imprisonment rate of 27 percent versus 5 percent for white (for those born in the U.S.? from 1975-1979). Or the fact that our incarceration rates are 5 times greater than any of our Western European counterparts. [See "The Challenge of Mass Incarceration in America"
Exactly these kinds of metonymic leaps – taking an iconic image and having it stand for something beyond itself – have been used to terrible effect by the right, for example the graphic imagery of the anti-choice movement. The Davis campus police provided the best guerilla theater of the month; if they were not secret agents of OWS they oughta be. The UC-Davis video, so like so many internet memes, cannot, by itself, mean that much: perhaps just a cop gone amuck. To answer your question: it does remain, among other things, an experiment in theater. We read so much more into it because we take symbols for truth. But, like Marilyn Monroe once said, cymbals are for marching bands. How can you make visceral the fact that regressive taxation is the guarantor of income inequality? That those that benefit from the society the most need to pay the most to maintain it, not bleed it dry, putting their booty in tax-free havens. Sales tax, like sin taxes, payroll tax, tuition increases at public universities, public transit fares, income tax loopholes, all work regressively: the poorer you are the greater the percentage of your gross incomes you pay. Chorus: The one percent occupy the tax code. The Republicans are not anti-taxation they are anti-progressive taxation. What is the public benefit of having expensive business-related meals be tax-deductible while mass transit commuting costs are not? Chorus: An even playing field except for the ones that own it. We also have a regressive penal code: not just the difference in punishment for selling crack and powdered cocaine, but the difference in punishment for thefts by banks and thefts of banks. Protests that can frame these issues work not (not only) as direct action but by metaphor and metaphor is never stable. Chorus: You can’t evict an idea but you can pepper spray it. You can't evict an idea but you pummel it, distort it, hollow it out, turn it into blue cheese, make it so you want to disown it, make you feel it wasn't a good idea at all. The Obama election elated many of those now rallying ’round OWS. Before too long, unrealistic and unwarranted expectations crashed on the rocks of realpolitik and the permanent government. No one wanted to hear a note of caution then. And they don’t want to hear now that “Obama disappointed us” is less telling than “I refused to accept that Obama believed the centrist platform on which he campaigned” (or that centrists are likely tack to the right once in office, not to the left). I can’t really be a standard bearer for a social movement because I can’t bear standards, or want to lay them bare. Could we call this pata-politcal? : calling the signs of the political to account for themselves. Every movement needs poets but once in office, laureates rule. Where we dwell – not political poets but poets in, around, about and beside the political – is in the in between. Providing a way to get through the long periods of disappointment by connecting the knots. JM: In the end, then, the problems confronted by Occupy always are, and it is ultimately the how and why of the language (slogans, poems, etc.) used to “face” them, “represent” them, “acknowledge” them that counts. Charles, I want to thank you for having this conversation with me and for connecting so many new knots.